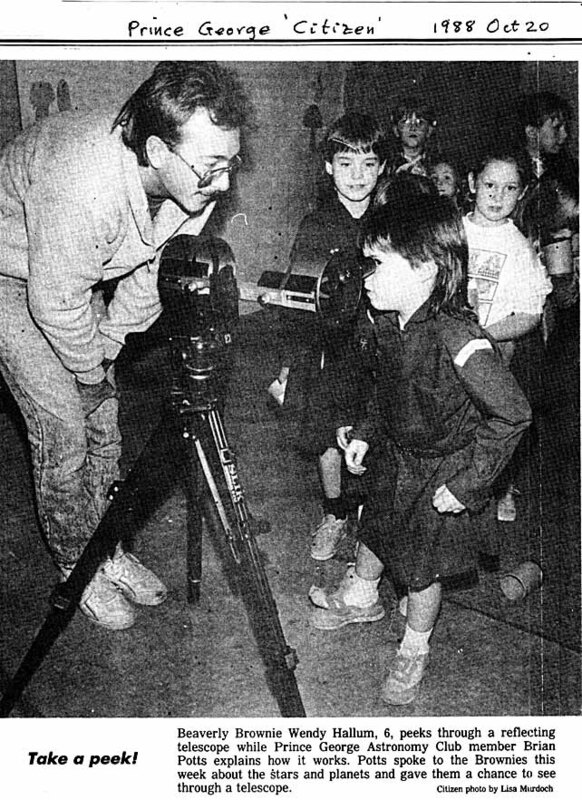 Overview: Member Brian Potts showing a group of Brownies a reflecting telescope. This entry was posted in 1988, Newspaper Articles on October 20, 1988 by glen_h. Telescopes In Park At 10 p.m. Title:Telescopes In Park At 10 p.m.
Overview:Mars viewing at Fort-Fraser park. This entry was posted in 1988, Newspaper Articles on September 21, 1988 by glen_h. Overview: The 1988 break in at the Tabor Mnt. 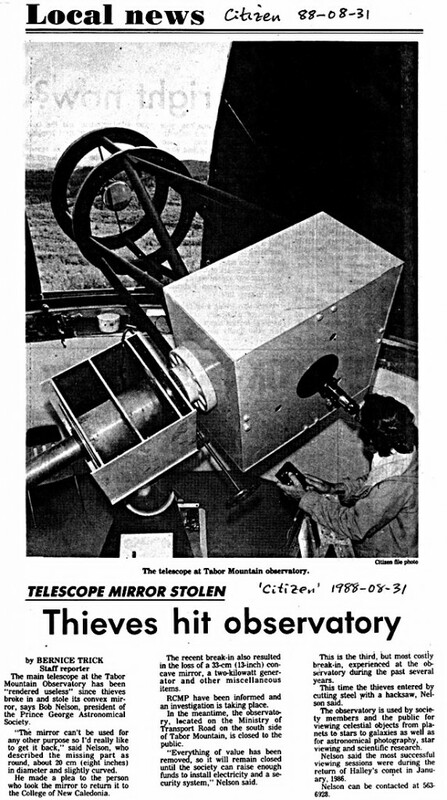 Observatory in which the secondary mirror of the telescope was stolen. This entry was posted in 1988, Newspaper Articles on August 31, 1988 by glen_h.